In addition, it helps bring hope and focus to those who need it, and a great sense of common purpose and engagement for people. Something that is so refreshing to see, and important to encourage more of. Cleaning is a great way to channel this, as it’s something that people at all levels can be involved with to some degree, and where tangible benefits and results can be seen by everyone. Of course, there’s more to it when providing a good service, but that’s where we have helped work with a local charity to come up with compliant systems and practical procedures to help make this happen for them. A form of induction training is of course essential anyway, often on-the-job and showing newcomers how things are safely and correctly implemented. This is particularly important though for volunteers, and not necessarily because they will have greater difficulty in completing the task, but simply to clarify how things are correctly accomplished. We have often found that they’re actually more enthusiastic than paid workers, which is great to see and encourage, although the down side can be that they assume things and because they are in volunteering role they can default back to their own personal methods of cleaning. Once a clear procedure is provided to channel this energy, then great things can be accomplished. It’s important to inspect and check how they are doing and the results of the cleaning. As with induction training, this isn’t meant to be watching over their shoulders and assuming a poor performance, but to genuinely help and assist them accomplish things. The whole process and experience is probably new to them, and by gently guiding them through this, with regular and proactive monitoring and feedback, you can soon bring them up to speed nicely. As regular cleaners, we all know the importance of the right items, whether PPE and clothing, substances and cleaning fluids, or actual cleaning equipment. This needs to be suitably provided, checked, and assessed with records like Data Sheets. The individual volunteers need to know that only these items should be used, unless there are any personal items like hair ties that they will need to provide themselves. We have seen genuinely helpful volunteer cleaners simply bring in their own cleaning substance from home and not realise that only permitted ones provided for by the organisation will suffice. Including volunteers with other volunteers and regular workers is essential, to not only ensure things are going well but also to ensure a good sense of togetherness. 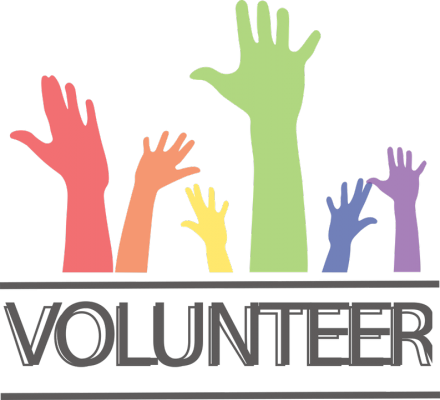 There will need to be a person in charge who is probably not a volunteer themselves, and may well need to provide greater input simply by the fact that volunteers are needing genuine help and guidance. Sometimes it can work the other way though, and we have seen instances where certain individuals simply do not get along, or become less effective together, and in actual fact you may need people to work alone for a while in order to bring out the best in them, all subject of course to suitable Lone Worker procedures. We have always said that cleaning should be a pleasure and not a chore, and an important part of that is working with others to achieve that. Whether it’s children to begin learning principles of work and reward, or friends and colleagues to muck-in with cleaning shared areas, it all helps to not only get the cleaning job done quickly and easily, but develop great relationships and reach personal goals. Every effort is needed to encourage this, and whatever teething issues you come across, then carefully work through these in order to make sure it’s accomplished.